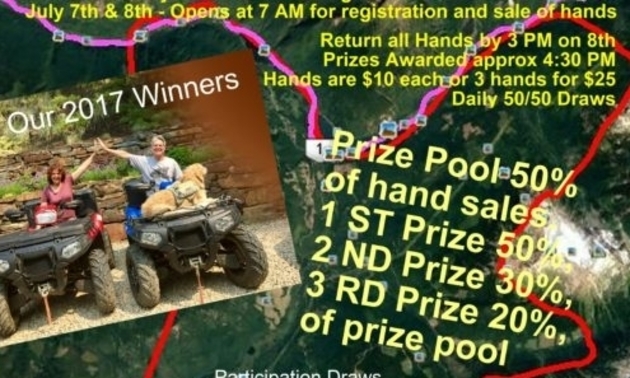 Come join the Revelstoke ATV Club for this annual poker derby, and you could win a cash prize. This year the club has implemented a $35 registration fee, although there is no fee for riders who are simply accompanying a registered participant. Registration also includes the first GPS hand free of charge.